Welcome to the shark den! I am Kino! Some may know me by Kinokashi but feel free to simply call me "Kino." I'm a full time freelance artist (Graphic Design) and I specialize in making logos, logo-esque designs and more. I'm always open to commissions to make anything you may need whether it be art related or cosplay related! Cars and Anime coming hand in hand in the Southern California region is growing every year. I take part in few meets myself as a vendor as such places like Sugoi Saturday and Autos and Anime. 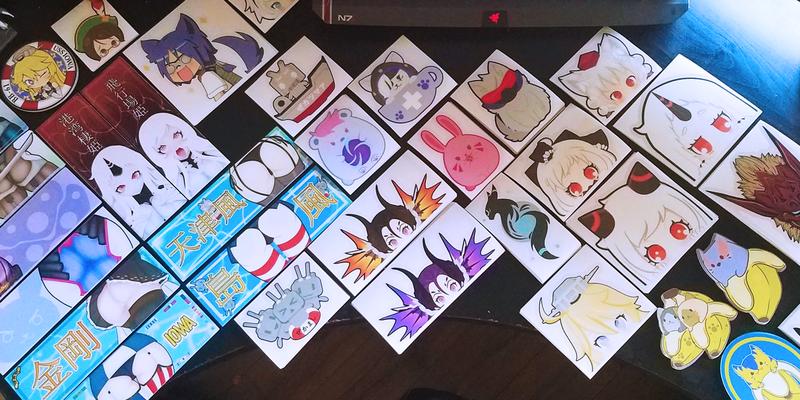 I make originally designed stickers each month with a theme and take on small commissions for Anime Wraps and Anime Decals/Stickers. My stickers are printed through OFFSET.SHWA in Santa Ana, CA and The Race Studio in Corona, CA.The stickers are printed on high quality vinyl and laminate so I can guarantee you that the stickers last a long time and even waterproof and don't fade. My art has been a constant target to art thieves that want to make a quick bang for their buck along with other "artists" claiming my designs as theirs. After a long and hard fight as my art gets stolen, I've decided "Heck, why not open a Pateron" so I can offer non-watermarked images of my designs, while the public images will now be watermarked from Atlantic to the Pacific. I do ask for my Pateron supporters to please keep the art to yourself and do not sell it! 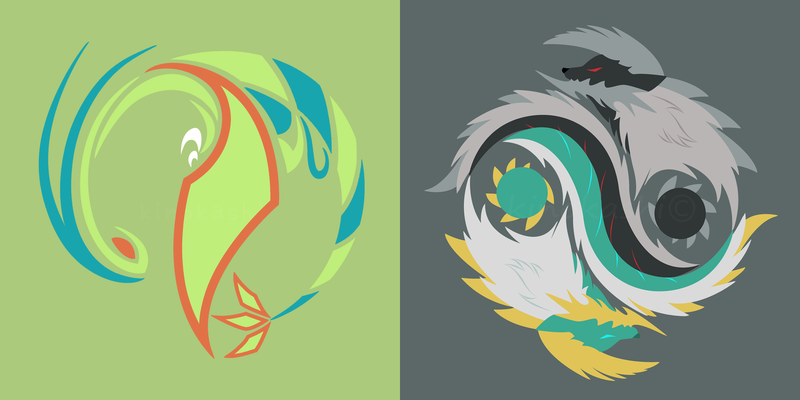 If you see my art being redistributed/stolen, please send me an email! All my contacts will be listed below. Art theft is no fun! 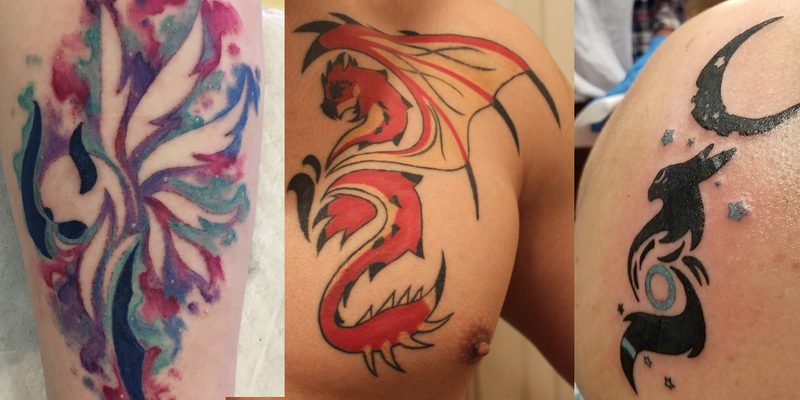 I'm always open to those that enjoy my art, and even more so when they want my design as their next tattoo! I don't mind you choosing my design but please ask me first only because I'd love to see how it turns out. I never charge a person for them to use my pre-existing designs for their next permanent piece on their body, I'm just happy enough my art is loved that much! I have a few social media outlets, if you'd like you can check out my following places! Online Stores? Please support my art as I sell them as physical merch! Along with my constant struggle of my art being re-sold through thieves day by day, by buying through these following stores approved and ran by me, you're support me as the original artist! Don't buy from thieves, buy from the OG! Sharp Pup: Thank you for supporting my art, every bit counts! Want the monthly sticker without the other goodies from the Megalodon tier? This is for all the sticker sharks out there. The monthly stickers are Patreon Exclusive High Quality Vinyl Sticker that is sent out at the end of the month of current running term. • Patreon Exclusive High Quality Vinyl Sticker that is sent out at the end of the month of current running term. To produce more merchandise and expand by traveling to conventions to sell my art!